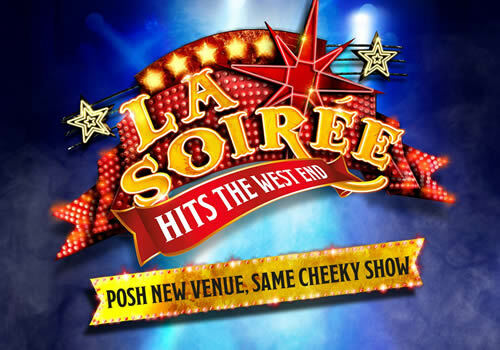 Roll up, roll up, as Olivier Award-winning entertainment show La Soirée swings into the West End, bringing a dazzling new adapted version of their show to the Aldwych Theatre. La Petite Soirée is a truncated hour-long version of the cabaret extravaganza, which is perfectly family-friendly and features world-class talent performing some of their best tricks. Originally playing across the fringe scene, at venues including the Spiegeltent on South Bank and at Leicester Square, La Soirée has been entertaining audiences for years with its provocative cabaret-style performances. Now, the saucy show tones itself down to appeal to theatregoers of all ages, combining magic, comedy and cabaret to bring the best acts to the stage. Celebrating performers from around the world, the show has seen acclaimed entertainers take to the stage, including Ursula Martinez, Camille O'Sullivan, Meow Meow, Cabaret Decadanse, Le Gateau Chocolat and Jess Love. In 2015, the production picked up the Olivier Award for Best Entertainment & Family, going up against established West End shows Hetty Feather and Dance ‘Til Dawn. A daring show that is bound to thrill theatregoers of all ages, this marks the company’s first venture into the West End, and the first time that they are bringing a family-friendly show to the stage. La Petite Soirée is due to run throughout the holiday season and during the daytime on weekends. Combining outrageous entertainment with a heady, circus-like atmosphere, La Petite Soirée promises to be unlike any other family show in the West End. Playing a strictly limited festive season, the show runs at London’s Aldwych Theatre from November 25th 2017 to February 3rd 2018. La Petite Soirée is suitable for theatregoers of all ages.